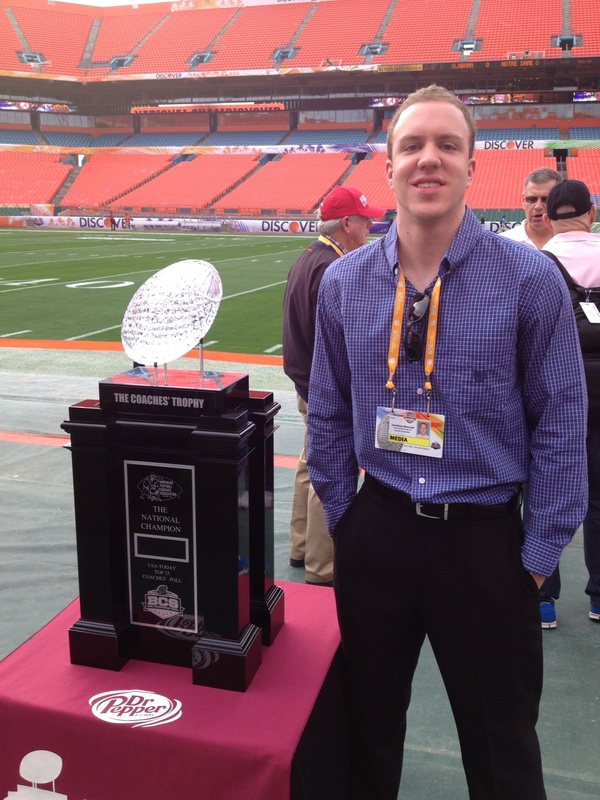 Penn State senior Jon Blauvelt, a student in the John Curley Center for Sports Journalism, traveled to South Florida in January 2013 to cover the Bowl Championship Series (BCS) national championship football game. The broadcast journalism and political science major had his work featured on the BCS and Curley Center websites. He wrote stories about the game between Alabama and Notre Dame as well as all that surrounded it. This was the second consecutive year that a Curley Center student had the opportunity to cover the game, thanks to a partnership between BCS and the Curley Center.